AND THE WINNERS WERE. . .
least one round of golf in between our relentless rainstorms, sashayed into the old Elkins Ranch spread on what turned out to be an unexpected pleasant day. Mike Gannon punctuated his round by making off with the day's only birdie and with that the entire contents of both birdie wager pots plus notching a Partners 2nd place tie to pocket top winnings at $66. Then came Sunny Weiss who collected $27 from 1st places in Low Net, Partners, and Low Putts, the latter with a meager 25 pops that bettered the field by 5 strokes! Porter Low Gross was taken by Craig Fehrman who added ties for 2nd in Net & Partners to claim $18. Brian Oblak posted the day's best round, a solid 79, for a win in Super Gross along with 2nds in Net, Partners, & Putts that paid out $14 total. Paul Venetos' only mark was Porter Gross runner-up spot worth $6. Marilou Miller picked up $5 by joining Sunny W. in an all-female Partners 1st place pairing and Val Mayer joined the tie for Partners 2nd place that yielded a modest $2. 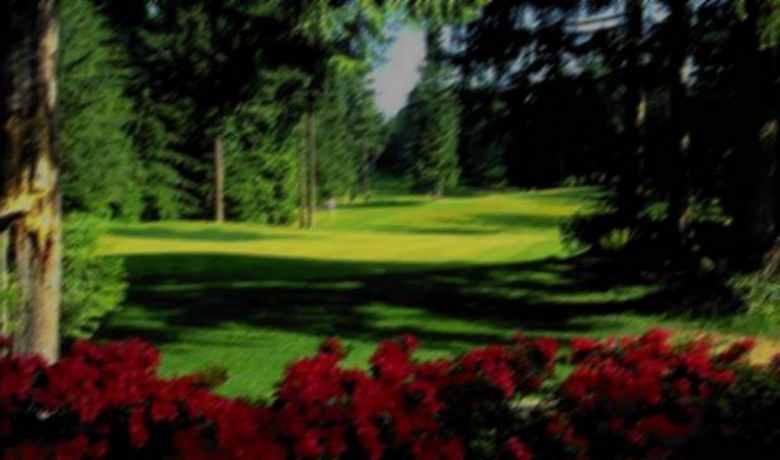 HARDING G.C. - 03/14/2019: At least this week's entry list hit double figures, but just barely, with only 10 competitors of whom 80% finished "in the money". 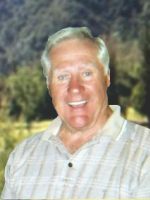 Top dollar of $42 was claimed by Tom Knickerbocker who was one of 3 players to share in the birdie pot proceeds and then added the Porter Low Gross award, 1st in Low Putts, and 2nd in Partners to his resume. Another birdie shareholder was Brian Oblak whose $29 take home was enhanced by his uncontested Super Low Gross title for the day's best score,a solid 79, along with his Low Putts runner-up and Partners 3rd place. Roger Pelote picked up $19 by joining that trio who split the birdie pot payouts. A pair of First Places in both Low Net & Partners sent $12 to Marilou Miller. By partnering up with MM and taking the Porter Gross runner-up spot Bob Stone earned $8. John Moskoff's Partners 2nd & Net 3rd efforts were worth $6 while the Low Net runner-up spot paid $6 to Jimmy Dodds and a Partners 3rd place sent Two Bucks to Ted Winship. OLIVAS LINKS G.C. - 03/20/2019 There was a big "Ole',Ole' celebration at Olivas after Brian Oblak posted a sizzling Two-Over Par 74 Gross to easily capture the day's top dollar at $66 with his 1sts in Super Low Gross, Low Net, & Partners along with a double share of the birdie booty. Marilou Miller won the Low Putts category plus a tie for Partners 1st place, a Net 2nd, and 1/2 birdie share to pocket $33. 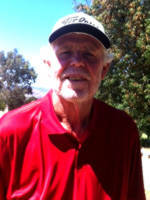 Jim Sabbe earned $26 with a full birdie share and 2nds in both Super Gross & Low Putts. The Porter Low Gross award went to Tom Knickerbocker for a $14 payout when added to his Partners 3rd place. Ron Troncatty extracted $11 from a 1/2 birdie share & tie for 2nd Low Putts. Bob Stone claimed the Porter Gross runner-up spot & 3rd Net worth $8 while Craig Fehrman and John Moskoff each got $5 by tying for Partners 1st place and Mike Belson's Partners 3rd spot accepted $2 for some gas money. CAMARILLO SPRINGS G.C. - 03/28/2019: This day the two "Designated Birdie Holes" remained "unbirdied" however Craig Fehrman and Ron Troncatty each managed to appropriate one of the "Blind Draw" tweeters. Craig topped the day's money list at $57 with FIRSTS in both Porter Low Gross & Low Putts along with his solo birdie and a Partners 2nd place. RonTron pocketed $37 from the Super Low Gross award, his solo birdie, and a Partners 3rd place tie. Marilou Miller and Bruce Simon tied for Low Net, LouLou adding a Partners 1st place for her $14 take, and Bruce taking 2nd in Putts & a Partners 3rd tie for a $13 total. Bill Lewis partnered up with Marilou for a $6 share. A pair of $5 awards went to Bob Stone and Sunny Weiss, Roberto with the Porter Gross runner-up spot & the Partners 3rd place tie, and the Sunny one also tied for 3rd Partners plus a 3rd Low Net. Jimmy Dodds partnered up with Mr. Fehrman in 2nd place worth Three Bucks leaving another full Foursome of competitors quietly unrewarded. Court House. It stars Marg Helgenberger of C.S.I. fame. Sam & Cat might remember her -- Brian Oblak missed our date at Camarillo Springs to start an episode of Criminal Minds. He finishes the gig on the 8th. He plays a used car dealer. Does he also moonlight as a cop?? -- We had a visitor from the east at Balboa, when Chuck Tamburro graced us with a visit. He came to the left coast to spend time with his Mom and sister, Jeri and bro-in law Ted White -- Jim Jacobs alias "Moi" dropped in at Cam.to say hello. He is still a couple of months away from his return. So is Joe Cala who is not yet able to take a full swing without pulling out all of his stitches -- The latest victim of he bronchial bug is Val Mayer who hopefully finished his three weeks of coughing, and will be with us at Rustic -- We had a nice turnout at the memorial for Joanne Dodds, she was truly a wonderful lady. Show results in Ascending Descending Order. Note: Posting requires separate Registration! here 's some video reminders from his prolific Career! ---- And The Penalty is Death!